Tool Marketing Company Ltd, who many may know as TOMACO, are pleased to announce that they are the wholesaler for the Narex range in the UK and Ireland. 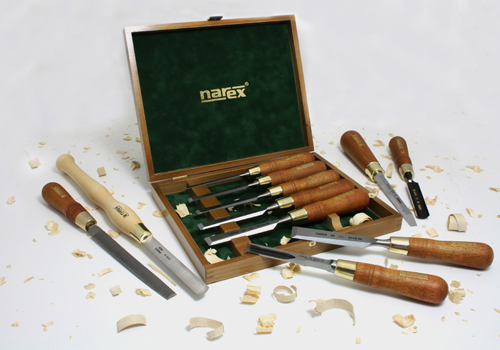 Narex, based in the Czech Republic, manufacture quality hand tools at an affordable price. The range includes an array of woodworking tools including chisels of all descriptions, rasps and carving tools to name but a few. With nearly 100 years of experience, Narex have the processes and quality down to a fine art. Within the range, there is something for everyone, whether you&#39;re a cabinetmaker, a carver or a woodturner. Narex offer you the opportunity to get a good product at a good price. The range has enjoyed great success throughout the world with very positive results in press and forums, which is one of the reasons TOMACO have included it in their portfolio of products. The Narex range can be found at select key independent retailers throughout the UK.